This Automatic Movado Datron HS 360 Pilots Chronograph is fitted with the Zenith El Primero 3019PHC automatic movement. The historical significance of the El Primero movement is not lost on watch collectors around the globe. The 3019PHC cycles at 36,000 BPH versus 28,800 BPH for the majority of watches made today. 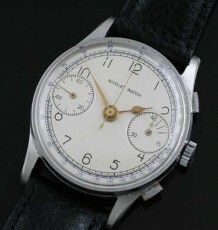 This was also one of the first automatic chronograph movements ever designed and produced. 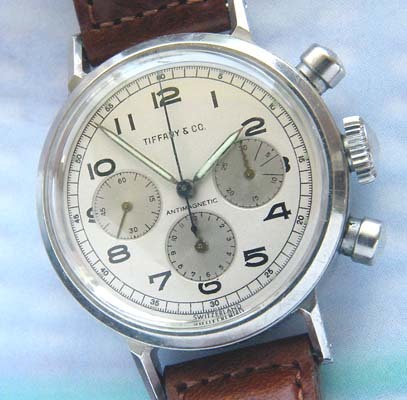 The dial of this pilots Chronograph is a sight to behold. 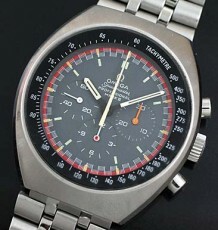 There is an inner tachymetric ring, an outer rotating bezel and the 3 inner chronograph registers. A date function at the 4 o’clock position is also a signature feature of the El Primero movement. The original black dial is in splendid shape with no blemishes what so ever. The case is a Movado Sub Sea water resistant case and the original Zenith signed bracelet is still attached. 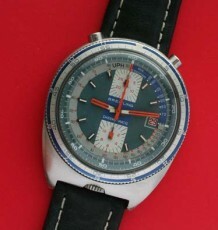 Zenith and Movado were partners at the time the watch was produced, as is evidenced by the original warranty and manuals supplied with this watch. They show the Zenith version of this model in the illustrations within the manual. The watch is supplied with the original double boxes, manuals, warranty and is fitted with the original bracelet, which will fit a 7.25 inch wrist comfortably. 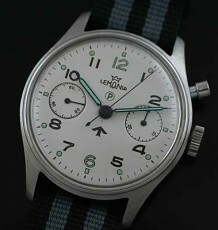 The case measures 44 mm wide by 44.5 mm long.